CAPE TOWN – The Department of Home Affairs is rolling out mobile trucks to areas affected by flooding and extreme weather in various parts of the country. 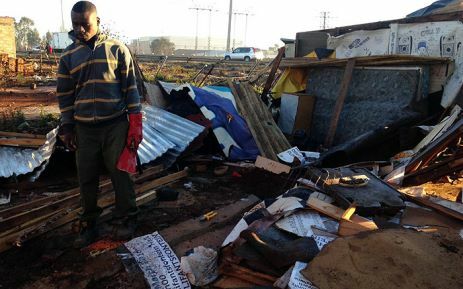 Tembisa was hit by a tornado while there have also been reports of flooding in parts of the Cape and KwaZulu-Natal over the last few days. Minister Malusi Gigaba says officials will be on hand to assist people who have lost their identity documents (IDs), by issuing temporary ID certificates without a fee. He says this will allow registered voters to cast their ballot next week. Gigaba says it’s unclear just how many people will need the department’s assistance. At the same time, the City of Ekurhuleni has launched a Tornado Command Centre in Tembisa to help those affected by the natural disaster. The tornado struck parts of the area on Tuesday afternoon, leaving 20 people injured and hundreds of homes destroyed. The City says its received overwhelming calls offering donations and assistance from the public. Spokesperson Themba Gadebe says donors can assist by providing blankets, household items food parcels and clothing.